For nearly two years we have been hearing the word “change” being used over and over as it related to political campaigns. Change is good if it means you are improving or changing your circumstances to have a better life, better marriage or even a better golf swing. There are some people who resist change because it might be too scary or too challenging. Whatever the reason, change may be necessary in order to move to a better place or circumstance in life. 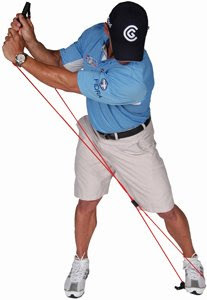 In my opinion, neither your body nor your golf swing will change without resistance, resistance training, that is. Simply stated, resistance training is that which causes your muscles to work harder than normal in order to, over time, get stronger to perform better. Body builders realize the benefit of resistance training when they use barbells or free weights do develop a stronger, more muscular body. Golfers need to develop more muscle strength if they want to ward off injury and perform better overall. Although, heavy duty weight training, like body builders is not the answer. 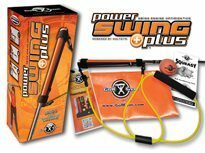 Using lighter weights or best of all, resistance cords or bands, is the best way for golfers to get the benefit of the resistance along with the smooth consistent motion or action the bands promote. 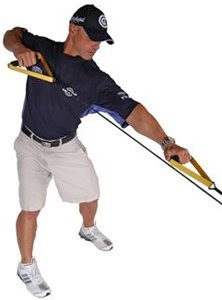 PGA Tour Coach Joey D has been using resistance cords with his touring professionals for over 10 years. Just recently, he and GolfGym® created his Signature Series of PowerBandz that are designed for, and used in, the PGA Tour Vans. 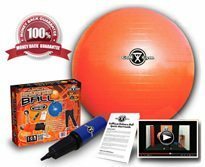 The great part is that they are portable and come with a DVD that includes the exact same exercises and techniques that he uses to train his players on the Tour. Because rotation and club head speed go hand in hand, here are some specific exercises to help you train those muscles to perform at their best. Another benefit to using the bands is that you can maintain a good golf posture throughout the entire range of the exercises. 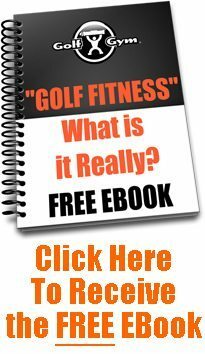 Free weights or machines are not set up to allow you to stay in good golf posture while performing the exercises. The consistent resistance of the bands helps to achieve noticeable results. This exercise can really help with the “slingshot” effect. Start your takeaway and feel the resistance as you go back. The bands want to pull you back into the slot. As they pull you, be aware of the negative resistance and the position of your hips as they rotate along with your hands to just past impact. 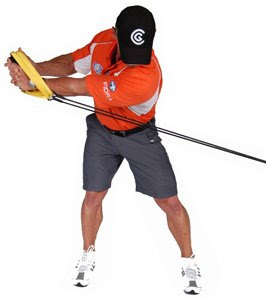 As you get better with this, you can work with the resistance to “slingshot” your hands and hips through impact, thereby increasing club head speed. This movement pattern opens up the chest area to help with flexibility while strengthening the chest, shoulders and back. Perform this movement to the left and right, it will help you to develop greater rotation and strength while maintaining a good golf posture. Here, Joey D is performing another rotational exercise designed to help with the association of the hips and the torso. It is also great for strengthening the shoulders and back. 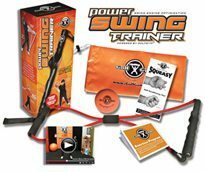 Finally, Joey D is working with the GolfGym® PowerSwing Trainer on the takeaway drill. This helps to ingrain the feeling of the one piece takeaway. This is a perfect warm up exercise just before stepping up to the first tee. 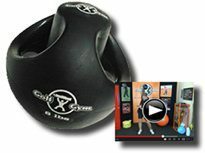 Visit www.golfgym.com to learn more about Joey D and the GolfGym line of products. So, if you are resistant to change….that may be a bad thing. But, if you use resistance to change…. that is a good thing, a very good thing.